They’re furry, four-legged and (generally) friendly. They are as much a part of the family as children or a spouse. So when it comes to designing your home, incorporating elements with your precious pooch in mind is a must. Create a special space for them with comfort and style in mind. 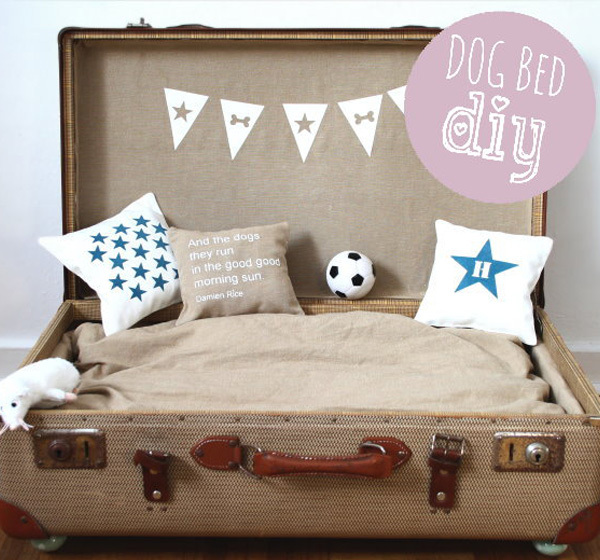 One of the easiest ways to show your canine you care is with a crafty DIY dog bed. Here are 10 projects to get you started. Sometimes a little mishap can bring about some inspiration. 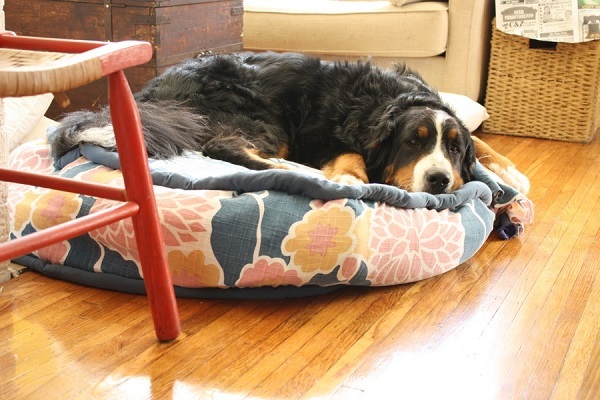 When Emily of Merrypad was left with a chewed up blanket, she turned it into a bed for her lovable dog. Featuring recycled fabric and old towels as filling, this project is both beautiful and budget-friendly. When repurposing fabric, be sure to note the care instructions- some items, like decorative throws, need special treatment. Your dog isn’t boring, so why should their bed be? 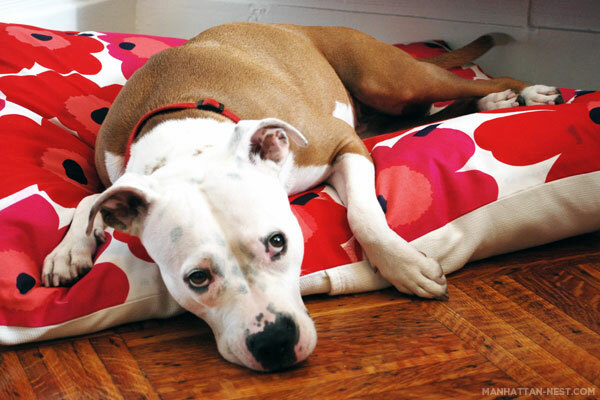 Showcase their personality with a dog bed in a playful print. Since it isn’t very large, a bed is the perfect way to inject some color in a neutral area. For added durability, use fabric that can stand a little rough play. This project from Manhattan Nest uses a heavy-duty shower curtain in a cotton-bamboo blend. It’s sure to withstand some chewing here and there. Old items gathered from around the house become new again with this project from Briggs Lekehus. 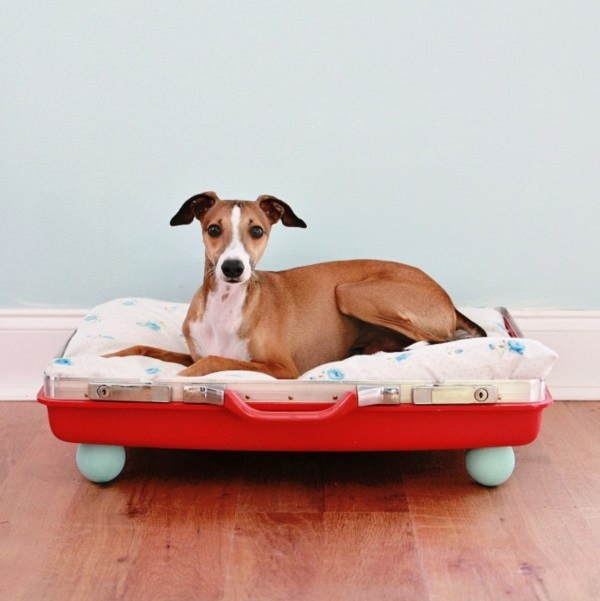 If your child has outgrown their mattress, turn it into your family pet’s new sleep spot. 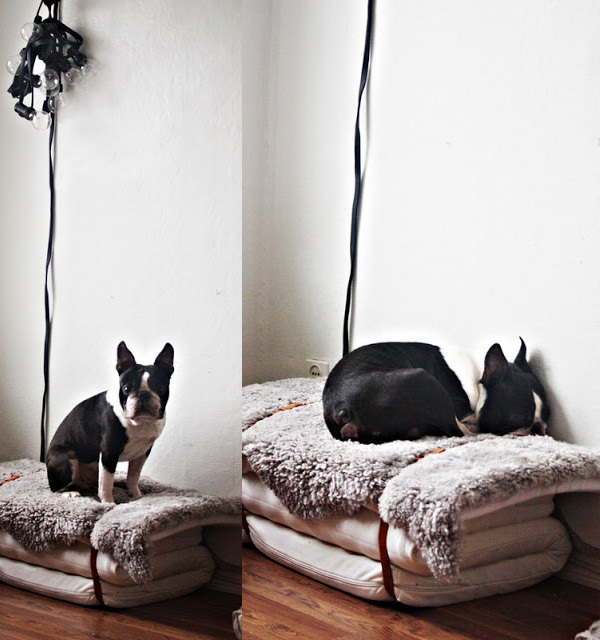 Fold the mattress into thirds (or in half if your dog is larger) and top with a piece of faux fur. Secure with a belt on each end. Vintage suitcases provide double decorative power. They’re perfect for spaces with a flair for antiques. 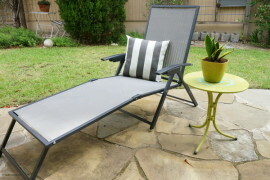 They also offer the ideal relaxation spot for your dog. Ashlee of My So Called Crafty Life turned a $5 find into a cushy bed. Get even more out of your project by making beds out of both sides of the suitcase. Keep the spare as a replacement or give it to another deserving pooch. 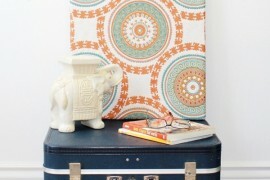 Some suitcases look great as is and need little altering. If that’s the case, take a cue from Titatoni and leave your vintage find intact. 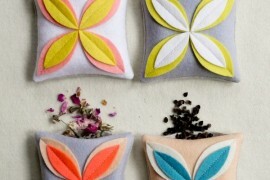 Instead, add some interesting plush toys to mimic the look of pillows. 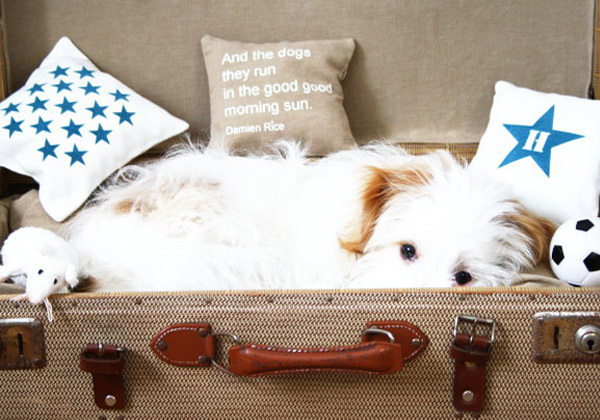 Ensure your dog has sweet dreams with a repurposed drawer inspired by Liz Marie. If you have more than one pet consider coordinating your beds with matching paint and pillows. 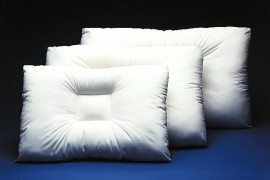 While sewing your own pillows will ensure a perfect fit, using a standard pillow will save time. 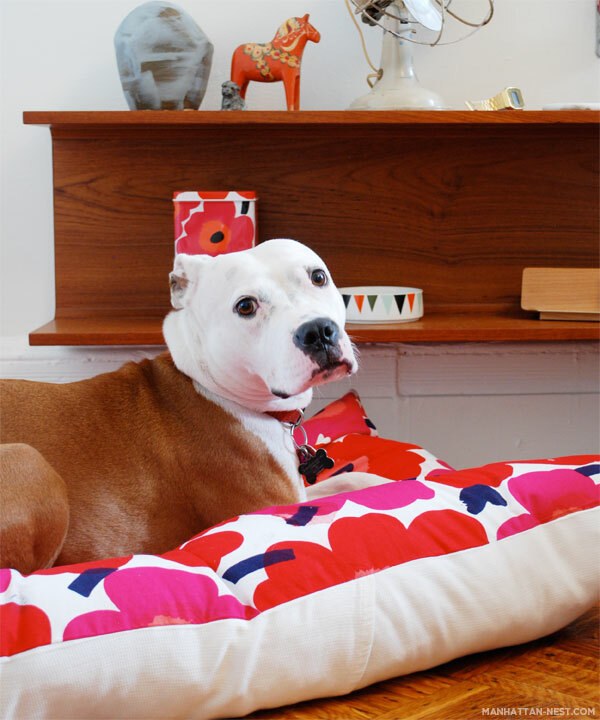 Simply slip on a sham or pillow cover and your project will be pooch-approved. 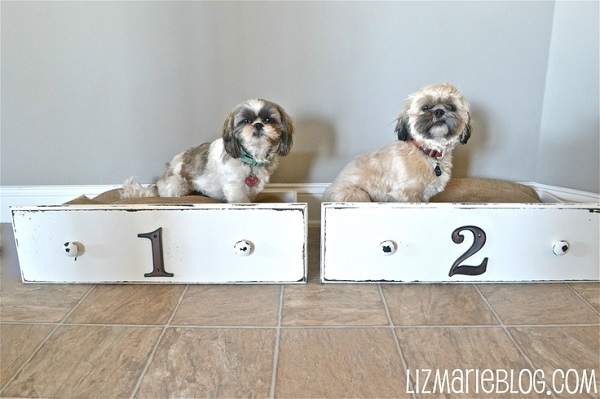 This project is for the pint-sized pooch in your life. 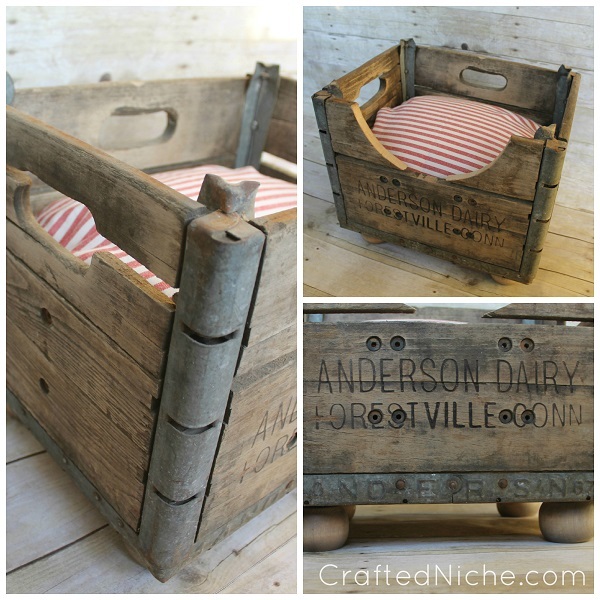 Created by Dana of Crafted Niche, an antique milk crate gets a new life as cushioned dog bed. For easy cleaning, create a pillow cover with a zipper so you can toss it in the laundry. 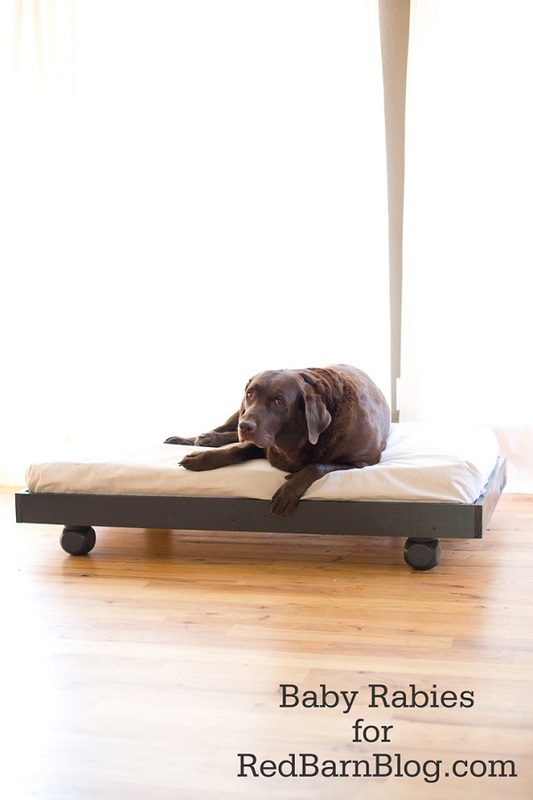 The small size and lightness of a crib mattress makes it perfect for a dog bed recycle. Create a customized frame out of plywood like this one from Red Barn. For a chic way to add some height, use outdoor decking knobs as legs- they offer solid support and a polished appearance. 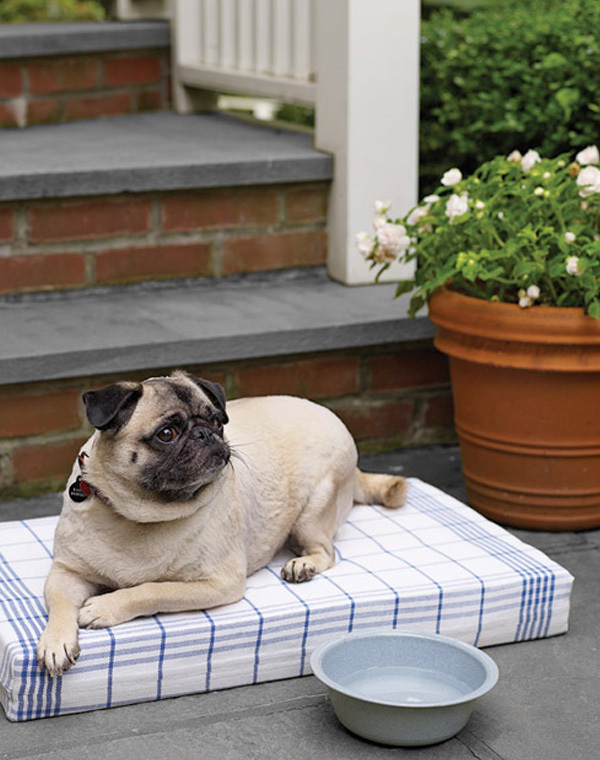 Make your dog feel like royalty with this throne-like dog bed from Wouldn’t It Be Lovely. If your pet is a larger breed, weaving nylon strapping for your base will offer the right support so they can sleep or lounge in peace. To protect your floors from any scratches, attach rubber floor protectors to the legs so they won’t slide around easily. Every member of the family should have a stylish, comfortable spot to lay their head at night. Your dog is no different. 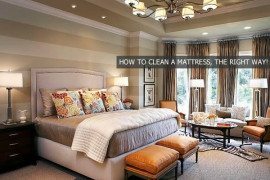 As long as you keep functionality in mind, there’s no reason not to have their bed add a posh element of design to your home. Hopefully you found some DIY inspiration from these projects! 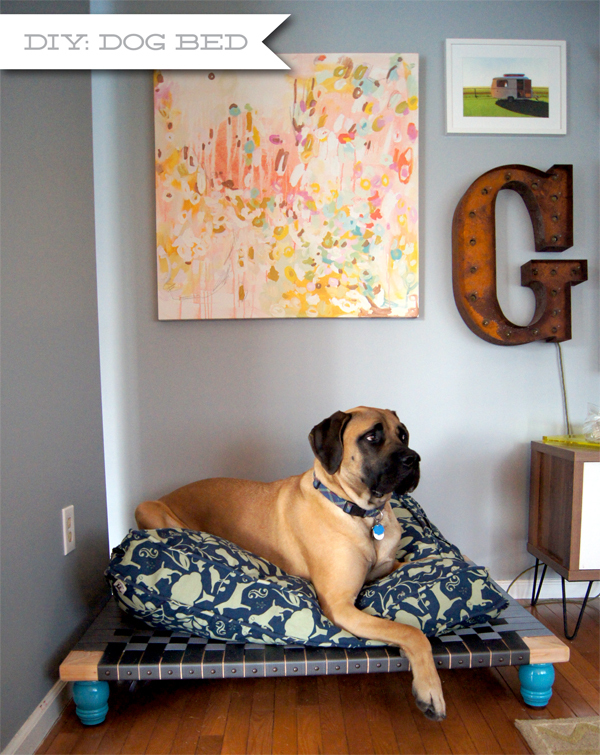 Have a canine-approved project in mind? Tell us about it in the comments below.